Also known as the Lar gibbon, white-handed gibbons share their range in southeastern Asia with the siamang. Like other gibbons, white handed gibbons move through the trees by brachiation, swinging hand over hand through the upper canopy of the forest. Mainly frugivores, white-handed gibbons prefer fruits high in sugar such as figs. They also feed on insects and flowers. Aldabra tortoise are second in size to the Galapagos tortoise. Males’ shell length grows to 42 inches and their weight to over 550 pounds. They have longer, thicker tails than females. Females have a more domed shell, growing to 34 inches and weighing up to 370 pounds. Their lifespan is believed to be 200 years. African and Indian elephants are the only proboscideans alive today, but there were over 350 different species in the order that are now extinct. The closest living relatives of today’s elephants are in the rock hyrax and sea cow. The roots from which the elephants are believed to have evolved 50-60 million years ago was a mammal about the size of a very large rabbit. Fossil remains discovered in Morocco in 2009 including a skull with front incisors which jutted out of its mouth to form the forerunner of the modern tusks. Experts believe that the giraffe’s long neck evolved to allow them to browse vegetation beyond the reach of other grassland herbivores. Males have longer necks than females, and each takes a different stance while feeding. Females tip their hands downward to browse on smaller trees, while males reach upward toward the tops of taller ones. This lessens their competing for the same levels and branches. Males are very protective of their harems, the primary social units of the plains zebra. A harem is made up of a dominant male and 1-6 adult females and their offspring. When a lion is spotted nearby, the group will form a semicircle facing the predator and watch it intently. If it moves in closer the group flees while the stallion takes up a defensive position to the rear. He will often aggressively attack the predator to protect the herd. Excellent eyesight and acute hearing allow ostriches to be sentinels for other African grazing mammals. Their long legs give them running speed up to 30 mph (48 kmh) and enable them to roam great distances in search of food and water. Male ostriches court up to five females, all of which lay their eggs in the same nest producing a clutch of between 15-50 eggs. Males incubate the completed clutch with some assistance from the dominant hen. These extremely social animals live in troops of 10-30 individuals in the deserts and grasslands of southern Africa. All of the meerkats in the troops participate in gathering food, keeping a look out for predators and taking care of the young. Meerkats are diurnal, leaving the safety of the burrow to forage during the day, turning over stones or rooting in crevices for food. One or more meerkats will act as sentinels while the rest of the troop is busy. The sentinel stands on a higher point to scan the surroundings for predators like eagles, hawks and jackals. A sentinel who senses danger will let out a shrill alarm bark that sends the troop scrambling for cover. Different calls are given for aerial or land-based predators. Many people visit Hawaii for the Islands’ great beaches. Each Hawaiian island is unique and so are the beaches. Here is a list of some of our favorite beaches in Hawaii. Here is a collection of some of the most commonly seen birds in Hawaii. Especially the Zebra Doves seem to be everywhere. The Hawaiian Stilt and the Nene (Hawaiian Goose) are native to Hawaii. The Nene is the state bird of Hawaii. 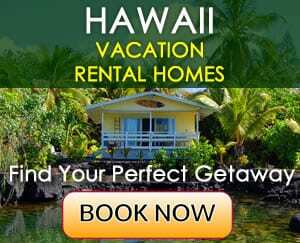 Areas where they can be spotted include Maui (Haleakala National Park), on the Big Island (Hawaii Volcanoes National Park and Mauna Loa), on Kauai (Koke’e State Park and Kilauea Point) and on Molokai. Waikiki is the most popular tourist area in Hawaii and therefore the most crowded. But if you don’t mind crowds, there are quite a few interesting things to do. Waikiki Beach is divided into several beach areas (Kuhio Beach, Queen’s Beach, Sans Souci Beach and Kaimana Beach). Some areas along Waikiki Beach offer good swimming conditions, while others are more suitable for snorkeling, bodyboarding and surfing. There are also three sheltered lagoons, which are ideal for novice swimmers and children. Located along Waikiki Beach are many hotels, restaurants and shops. Entertainment venues include free outdoor hula performances and several festivals and parades throughout the year.